Matt de la Peña: Hey Mr. Schu! You are doing great things in the world of books, and it’s truly an honor to be with you! Loren Long: Hi Mr. Schu! Thanks for having us. Thank you for sharing LOVE with the world. The world needs this book NOW. Matt, what planted the seed for LOVE? 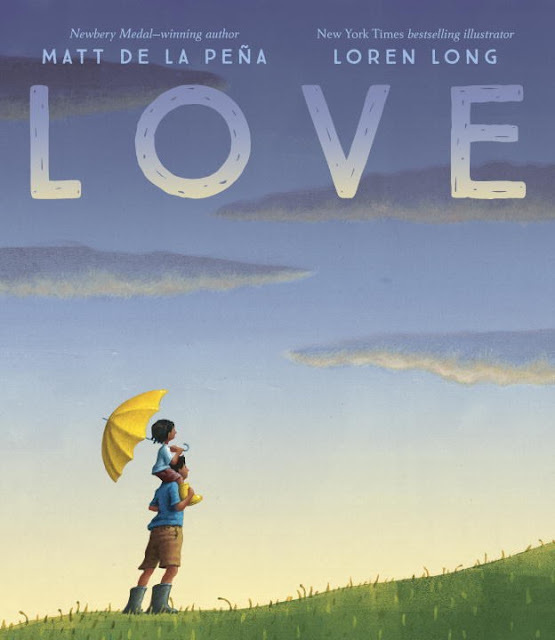 Matt de la Peña: Love began as a response to the current divisiveness in our country. 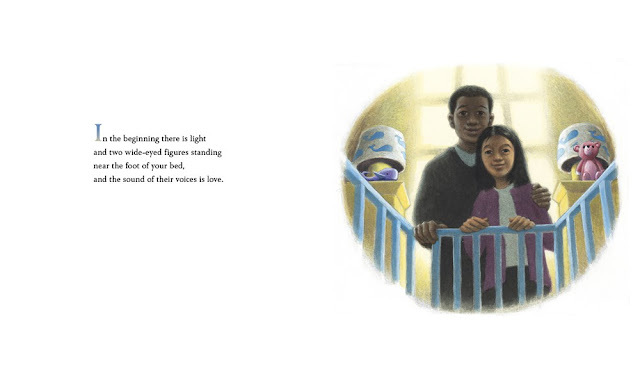 I set out to make a book about love and inclusion that I could share with my own young daughter as well as all the elementary school students I meet on the road. But like all my story ideas, it evolved once I began the writing process. I soon realized the poem was really about the way the concept of love changes and grows over the course of a childhood. Loren, how did you feel the first time you read Matt’s manuscript? Yet even still, it exceeded my expectations. I was startled by the depth, the honesty and the places that Matt takes the reader. How did I feel? Inspired. Contemplative. Delighted. Challenged. Hopeful. Somewhat panicked (that the responsibility to illustrate this powerful poem was mine). Matt, what ran through your head the first time you saw Loren’s finished illustrations? Matt de la Peña: I’m going to put this bluntly. When the finished manuscript left my hands, it was an unruly spoken word poem that I hoped explored the journey of love in a child’s life. When I read it over, I felt it viscerally, but I don’t think I understood it consciously. When I first saw my words sitting alongside Loren’s breathtaking illustrations . . . that’s when it became a real book. 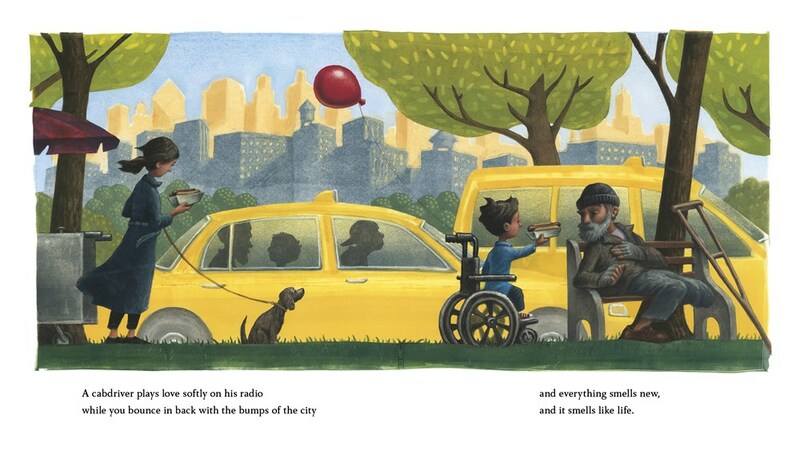 A few of the spreads actually moved me to tears. Because Loren’s art respected young people enough to allow them to sit with the heavier stuff. Yet at the same time, he infused this sense of safety and unconditional love. Loren, did you and Matt communicate at all while you were working on the art for LOVE? Loren Long: We did. It was the first time I had discussed a work in progress with the author of a text I was illustrating. A couple occasions we even sat down together and I shared some of my rough sketches. It’s worth pointing out that Matt and I come from two very different cultural and geographic backgrounds. Our life experiences couldn’t be more different. It proved to be incredibly valuable for us to get to know each other, discuss ideas back and forth and work as a team. It was great for me to hear firsthand where Matt was coming from when he wrote those words. We compared and shared our personal experiences and convictions. LOVE was a challenging text to illustrate and I believe combining our different perspectives enhanced the message. After the sketch phase, I pretty much disappeared in my studio to make the final art. We didn’t talk much until Matt visited a school in Cincinnati in January of 2017 and I showed him a few of the finished paintings. On January 9, 2018, we will join the ranks of those who choose to put love into the world. 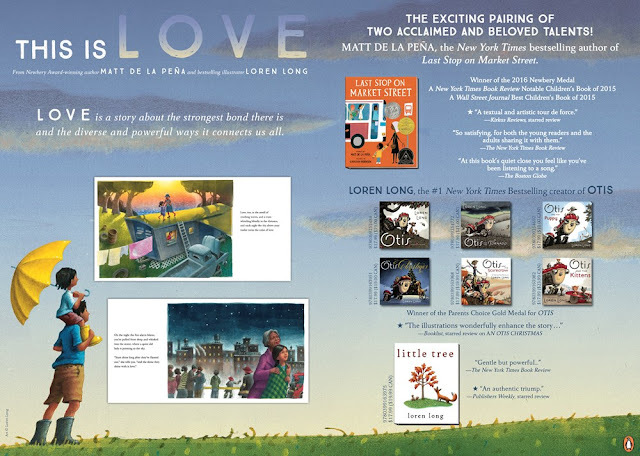 I hope LOVE is an inclusive book that challenges readers and inspires conversation, and ultimately helps bring people together. 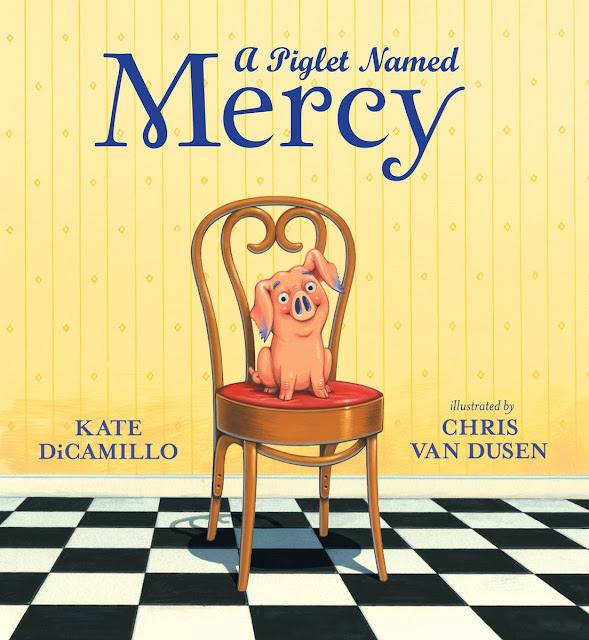 Picture books are no doubt a form of love. They connect a child and an adult in a shared experience that will resonate with both forever. Mr. Schu, you should have asked me about how I made the art for LOVE. It was created with collaged monotype prints. I’d never worked this way before. It was a little terrifying but something about Matt’s text inspired me to take a leap. If anyone is interested, here is a letter I wrote about the process. Borrow Love from your school or public library. Whenever possible, please support independent bookshops.